Last week Amazon launched Delivery Services Partners, a new initiative aimed at encouraging entrepreneurs to set up their own delivery business. Or, as TechCrunch described it, Amazon just launched its own UPS competitor of sorts, by offering leased vans, training and resources to those who want to drive for Amazon instead of Uber. The ability to keep growing and improving deliveries is a top priority for Amazon. A recent report from Morgan Stanley observed that Amazon spent around 13% of its revenue on shipping costs in 2017, a figure that the Wall Street Journal said equates to astounding $21.72 billion. 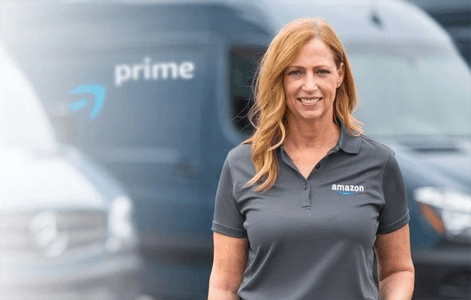 As the volume for deliveries grows, this new franchise model is yet another strategy for Amazon to expand their delivery logistics network. With setup costs starting at $10,000, Amazon said that the owner of the package delivery franchise can expect to earn up to $300,000 in annual profit. One of the biggest hooks for people to join this new scheme is that owners will be able to tap into Amazon’s delivery volume, as well as access to Amazon’s last mile delivery technology, training, and multiple discounts on assets and services such as vehicle leasing and insurance. While Amazon will undoubtedly still need UPS, FedEx and all their other delivery partners, this is a significant move which will markedly further their reach and bargaining power if everything works out well. Crowdsourcing as a resource for big companies to expand their delivery network is gaining traction across the industry. With the current shortage of truck space and drivers, businesses have to get creative in order to manage demands. Other retailers are also looking at this strategy as a method to complement their fleets and delivery partners. For example, last summer Walmart began testing an app that matches online order delivery addresses with its employees’ driving routes so they can deliver online orders on their way home. In the case of Amazon Delivery Services Partners, there are also risks. Critics argue that some people might be able to earn more if they work on an hourly basis. After all, there is no guarantee that starting your own enterprise with Amazon will lead to $300,000 in annual profit. In addition, working with Amazon comes at a cost. Peter Schlactus, co-founder of the Association for Delivery Drivers highlighted the fact that independent delivery companies are increasingly turning away Amazon’s business because they require that they hire their drivers as employees, rather than work with them as independent contractors. As demand for more and faster deliveries grows, so will the ecosystem around it. With initiatives such as this one, as well as Amazon Flex, the retail giant is future-proofing an infrastructure that can sustain their continued growth. Other retailers and delivery fleets should take note as they explore creative ways to expand their delivery reach and operational efficiency.